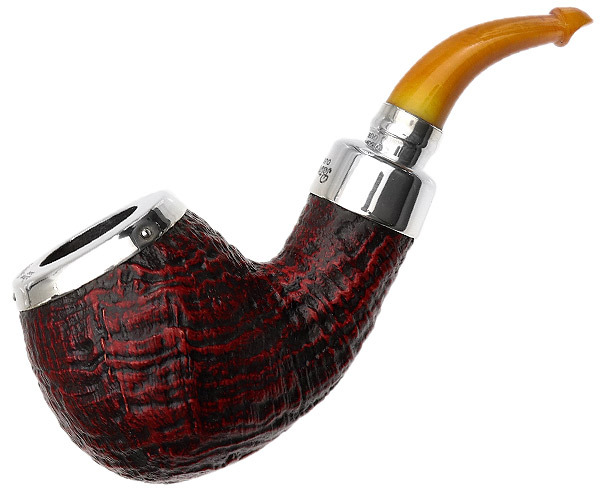 One part of the joy of pipe-smoking has to do with the “language” of pipes: how is it that a shape, texture, and color combine in a particular piece of briar (or other medium) to say something significant, something important, something magical to the smoker? How form and function synergize to create meaning is an endless mystery that never loses its fascination for me. And one of the chapters I’m proudest of in the book discusses just this topic—the Peterson house style. So while we wait for the book to be completed, let me show you some of the most interesting pipes that have spoken to me over the past year, sharing stories of new lines and old, antique, entry-level, obscure and high-grade. At the top of my list is the reappearance of a shape from 1906, the 2017 POTY, shape D21, which scores for me on many levels. I confess it was love at first sight back when I first saw it in the 1906 catalog. Later I learned I wasn’t alone in my admiration – Chuck Wright was another devoted admirer, and we’d tell anyone who would listen about these shapes. 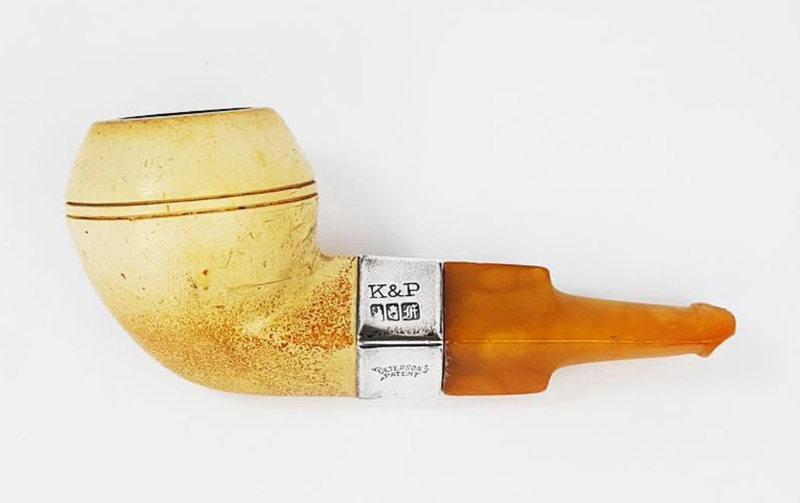 He finally acquired a set for a while, one in briar and one in meerschaum, which he gifted at his death to Tom Palmer a few years ago. 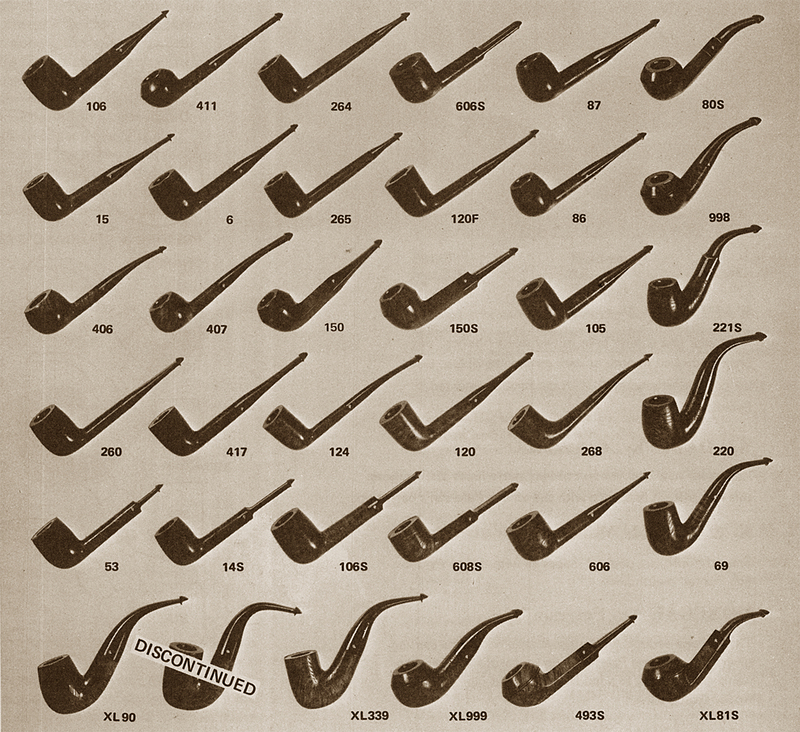 But it’s more than a shape—it’s one of the great smokers in my rotation, and the proof for me of any pipe is in the end how it smokes. 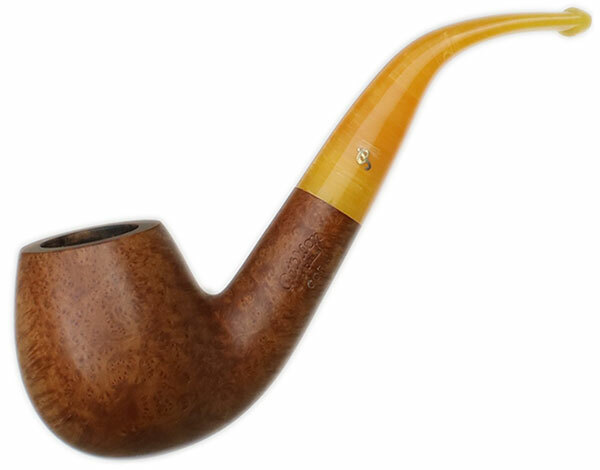 But the proof of the shape is in the smoking, and it has established itself in my rotation with its great conical chamber, always delivering an effortless, flavorful smoke. A second favorite, now trickling its way down (or out of) the POY series, is 2015’s shape D18, the Founder’s Edition. I have been hoping my body chemistry would revert to its old latakia-loving ways, and while it’s recovered somewhat from the traumas of recent years, I still don’t turn to big chambers like this very often. That being said, I had the D18 De Luxe System in my cart at Smokingpipes long enough to have someone else scoop it out from under me. When a second one came up on their site the following week, I was just strong enough to resist the urge, realizing I wouldn’t smoke it enough to justify putting it in the rack. I did write Joe Kenny at the factory, however, asking if the D18 would be a permanent addition to the System lineup, as its shape is spot-on perfect for the System reservoir. He said that no, it wasn’t, these were just one-off whimsies. Just as beautiful, though not a System, is the Kapp-Royal version for the Italian market. I sometimes wish Peterson would release a few of the POY as naturals, or super-high grades. 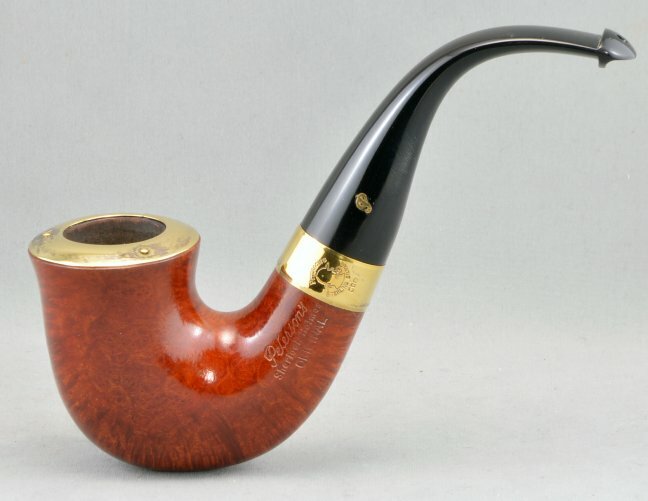 Here’s a shape from Marc Brosseau’s collection that I think Peterson ought to consider re-releasing: the 36, which was originally (as seen) a small straight System. This amber-stemmed meer, hallmarked for 1901, is proof that amber isn’t as delicate as some people think. What makes it so amazing is the chubby effect achieved by the short stem. Mark’s version seems to be the shortest that was offered, as per the 1906 catalog. in even shorter mouthpiece lengths! This Sherlock Holmes “Original” is hallmarked N for 1900, and was up on Mike Gluckler’s Briar Blues site for a while. It’s the only time I’ve seen the 05 given a precious metal rim treatment, and it makes a fabulous calabash, don’t you think? 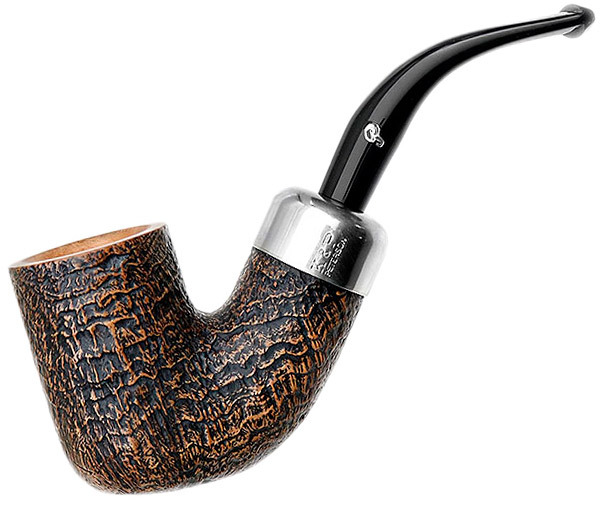 It’s the kind of rugged-looking smoking instrument one can envision the Great Detective picking up for an evening’s ruminations. Going out beyond the stars (at least for me) was 2017’s Master Craftsmen series, ten Amber Spigots in a custom leather presentation package designed by Claudio Albieri. The last time Peterson did something on this level of extravagance was in the mid-1990s. I read a lot of harsh criticism about the MC on one of the forums, which was fascinating. Peterson seems to attract more than its share of negative criticism, and it sometimes seems like their pipes are never what some folks want them to be: their low end isn’t high enough, their high end isn’t good enough, their grain is never flawless enough. My two visual picks from the Makers Series, although the chambers in both are larger than I normally smoke, would be the B65 (2014’s POY) straight-grain and the B42 contrast-stained sandblast. 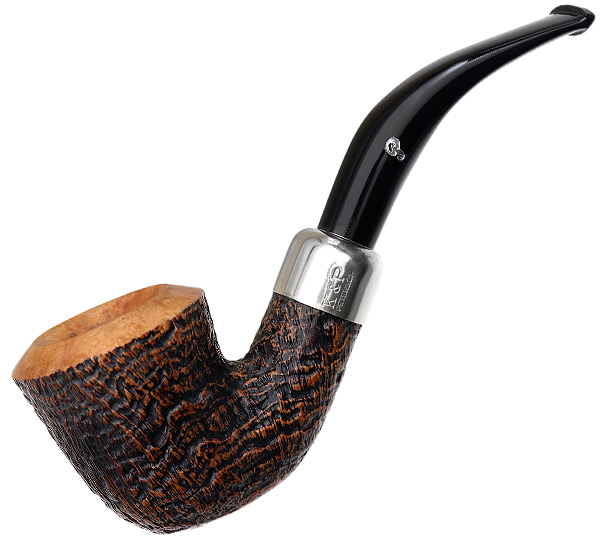 The B42 I’ve long admired as one of the strangest shapes Peterson has ever released, and here it looks positively organic and handmade. The B65, 2014’s POY, my least favorite of all the POYs, but in the MC treatment it Peterson’s language comes to life: massive, masculine, full of sunlight. You can check out the Smokingpipes video and notes here. 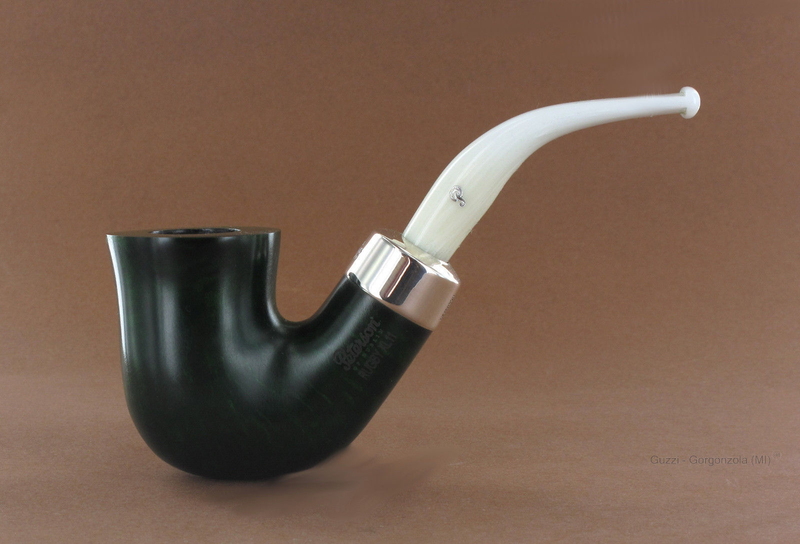 Coming back closer to my realm of pipe-possibilities is the Ebony Tank Spigot, shape D19, from the 2010 Mark Twain collection. This unique realization, with its sterling spigot and rim cap, is surprising and even a little startling, and gives off a kind of steampunk aura to me, like it’s ready for some serious mind-bending adventures. 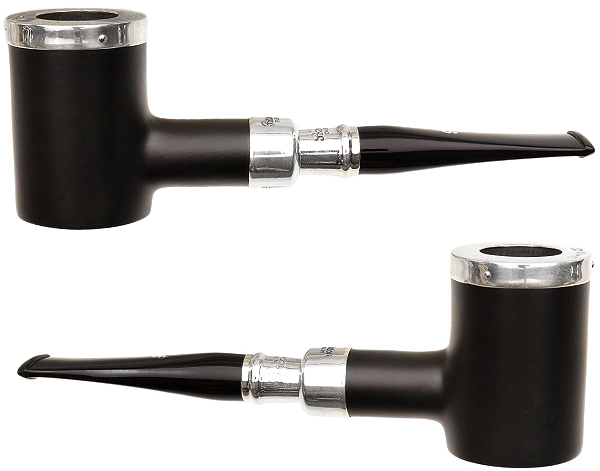 At the opposite end of the spectrum from the LT Ebony Spigot comes this exquisite high-grade Dublin & London B10. We haven’t seen many pipes from this 2016 line because of the high-quality grain requirements, but when they are released, they are always something to behold. 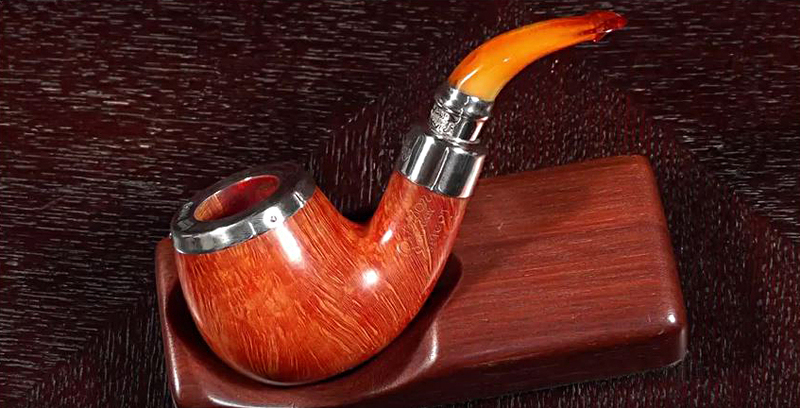 This 124 cutty shape is a scarce and unusual entry in the Peterson shape catalog. 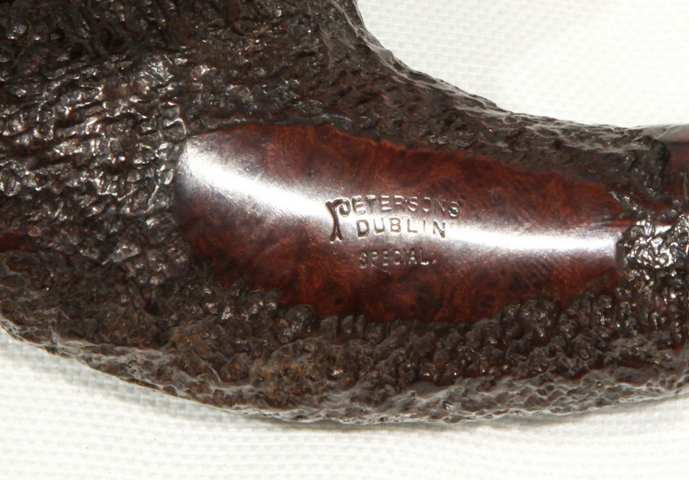 Its first appearance is seen in the 1950 Briars by Peterson’s White Catalog. It then appears in a 1973 shape chart from Associated Imports (see below, fourth row down). 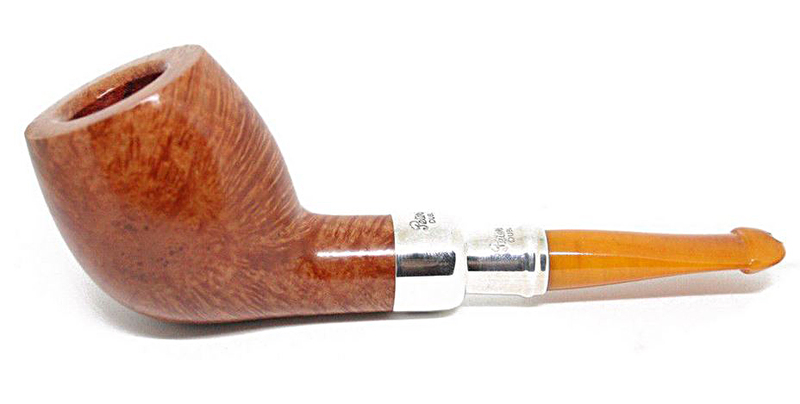 It also appeared in the 1996 Old English Collection and has been seen in the churchwarden releases of recent years. The chamber is too small for me, but the lines on this Flame Grain with its stretch acrylic marmalade mouthpiece, are beautiful. 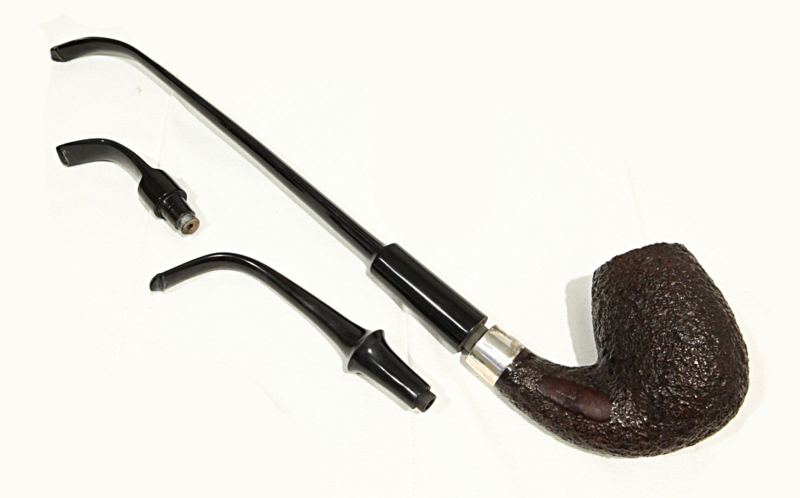 This House Pipe, purportedly used in an Alfred Hitchcock film, is one of those outrageous pipes that used to have a prominent place in any truly respectable tobacconist’s shop. This one looks like it could have been made anywhere from the late 1950s through the 1980s, but I couldn’t get any information on whether it had a hallmark or not. 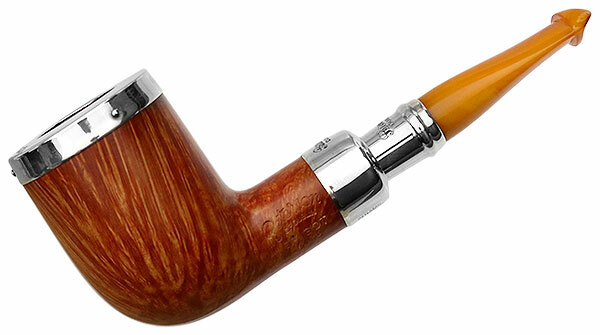 Cork c. 2000 – Higher-grade orange stain line, no band, 9mm filter, with amber-colored acrylic fishtail stem and aluminum P. European-market only. It’s also one of the earliest (if not the earliest) of Peterson acrylic mouthpieces. I’ve just recently discovered this shape on my own: the 68 is a real chunk, a handful of solid briar. It may not look it in the picture, but it’s a big, solid piece of smoking furniture, as big or bigger than the 307 / XL90, but cut not for System use but for an army or navy-mount. I’ll talk more about it in another blog. 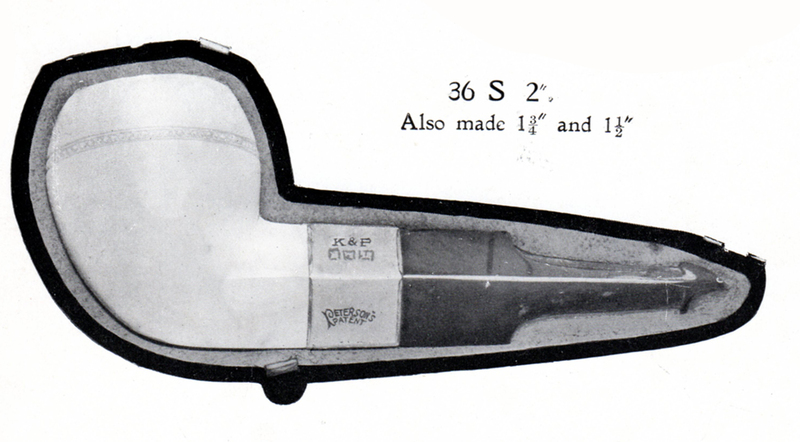 The B5 was the earliest of the B shapes to find a lasting place in the shape chart, back in the early 1990s. This gold-band Supreme, hallmarked for 1998, shows us why: it’s just a classic. It’s from Al Jones’s collection. Here’s another line we won’t see here in the US, Mario Lubinski’s Rugby, a matte green finish with a white striated acrylic mouthpiece and hot foil P, with, of course, the obligatory Lubinski sterling mount. Many of the ferrules, as you can see in the 05 and XL20 above, feature the Hinch mount. 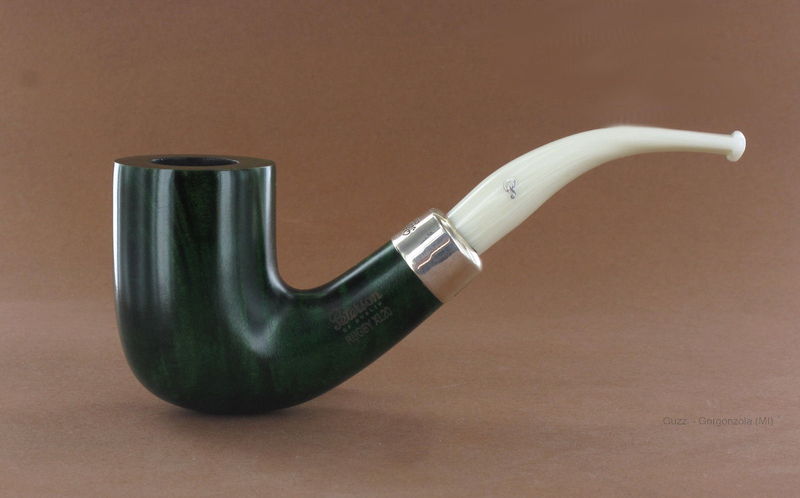 And I’ll end with what is surely the finest small batch line Peterson has ever made, in collaboration with Laudisi (Smokingpipes.com): the Arklow. As the B10 just recently appeared, I thought I’d share it with you. they’re all listed in the Blogroll.